Lyn’s YouTube channel reaches nearly 200,000 active subscriptions, having become one of YouTube’s leading channels on the varied topics associated with “the last days”. 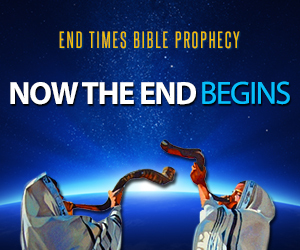 Of particular note, Lyn’s YouTube channel reaches nearly 200,000 subscriptions, having become one of YouTube’s leading channels on the varied topics associated with “the end times.” Her program covers a broad spectrum of subjects: End-times events, spiritual warfare, personal and national repentance, as well as breaking news that speaks to the fulfillment of Bible prophecy. Lyn’s ministry skyrocketed after completing her first Christian fiction end-times’ novel, Soul Deceiver, in 2011 (available through Thomas Nelson, Westbow Press Publishing Company). Michael Snyder, author of the Economic Collapse Blog and End of the American Dream Website (recently featured on “The Jim Bakker Show”). Not only is she the TV Show Host for Prophecy in the News, but beforehand was featured on Prophecy In the News where she spoke at the 2016 Prophecy In the News Annual Pike’s Peak Conference, as well as Paul McGuire’s “Apocalypse & the End Times” show on God TV. “When Krista, a popular TV news anchor, learns of her best friend’s brutal murder, she finds herself being a target. But the circumstances send her straight into the arms of a man whose soul is darkened by lies and power.” Get this book today! The first of it’s trilogy series from best selling author Lyn Leahz. Click here to purchase your copy today.